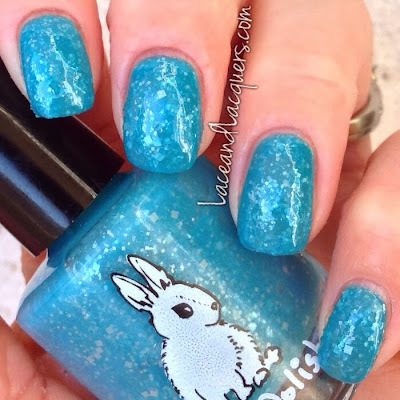 The Knockouts of the Double R is a "aqua blue jelly with white flakies and white squares in 2 different sizes, topped off with aqua blue shimmer". Yes, puhhhleaseee. 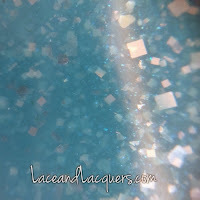 That shimmer is my favorite, you should have guessed that by now bahaha. This was meant to match characters' uniforms from Twin Peaks (I've never seen the show, is that bad? haha). I did 3 coats of The Knockouts of the Double R. It had a great smooth application that didn't give me any issues. Dry time was also great. 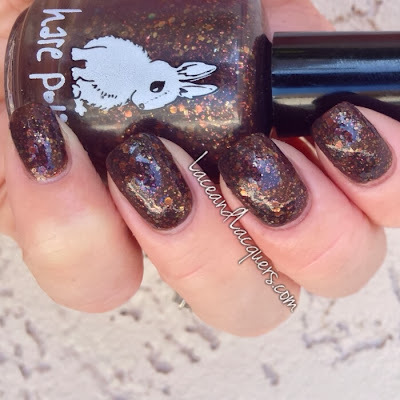 I have 0 complaints for this polish. That macro. Did you see that macro? Look at it again. DAT. MACRO. 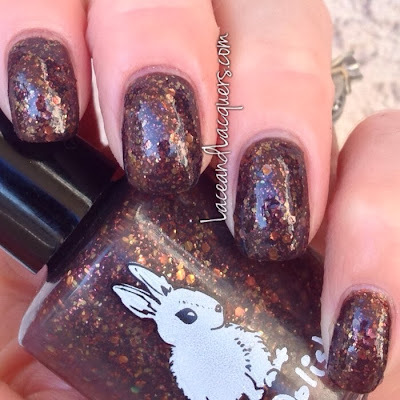 Damn Fine Coffee is a "deep brown jelly packed with gold & red flakies, plus golden iridescent hexes in 2 different sizes". I never seem to gravitate to brown indies, but whenever I get one in my hands I seem to like it! 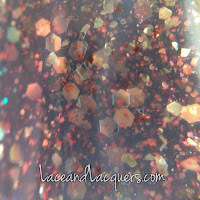 The red flakies are the best part of this, in my opinion. Sure, brown and gold are great! But the red gives it a little somethin' special I think. 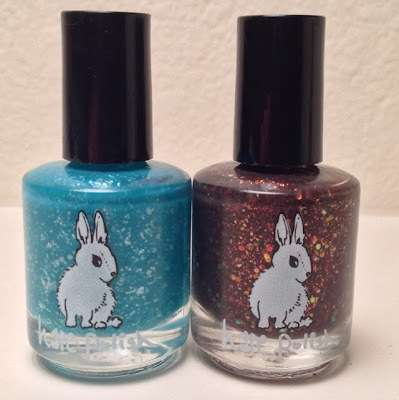 If you're looking to purchase these, or other Hare polishes, I highly reccomend following Hare on Facebook.